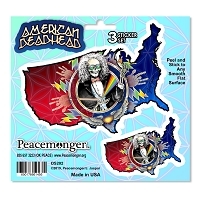 This multiple sticker card has three contour cut stickers which individually peel off. 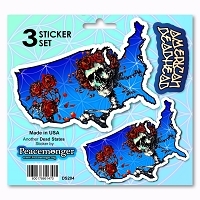 Arrange them any way you like. 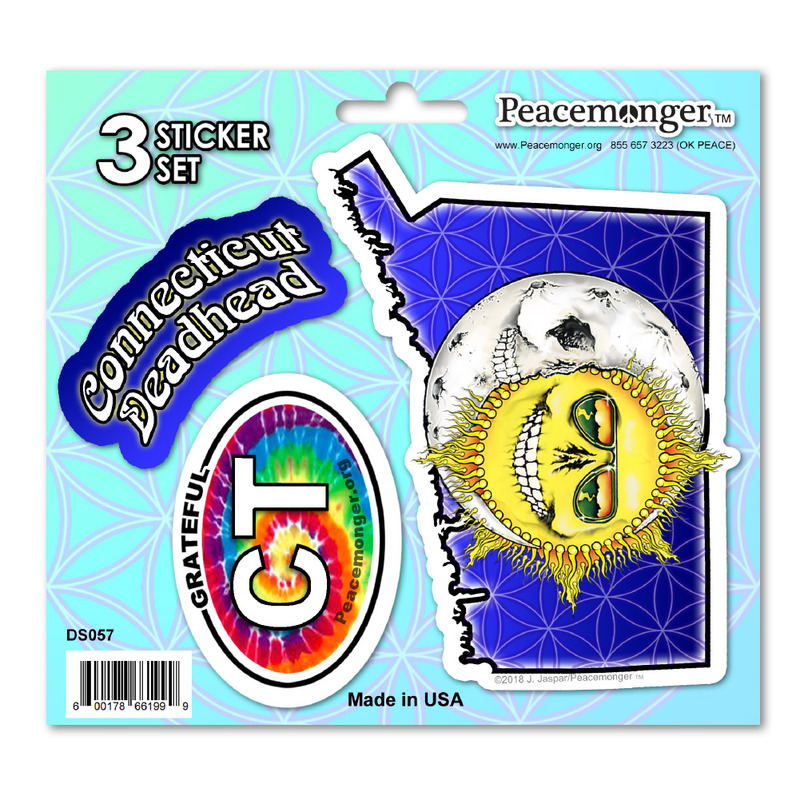 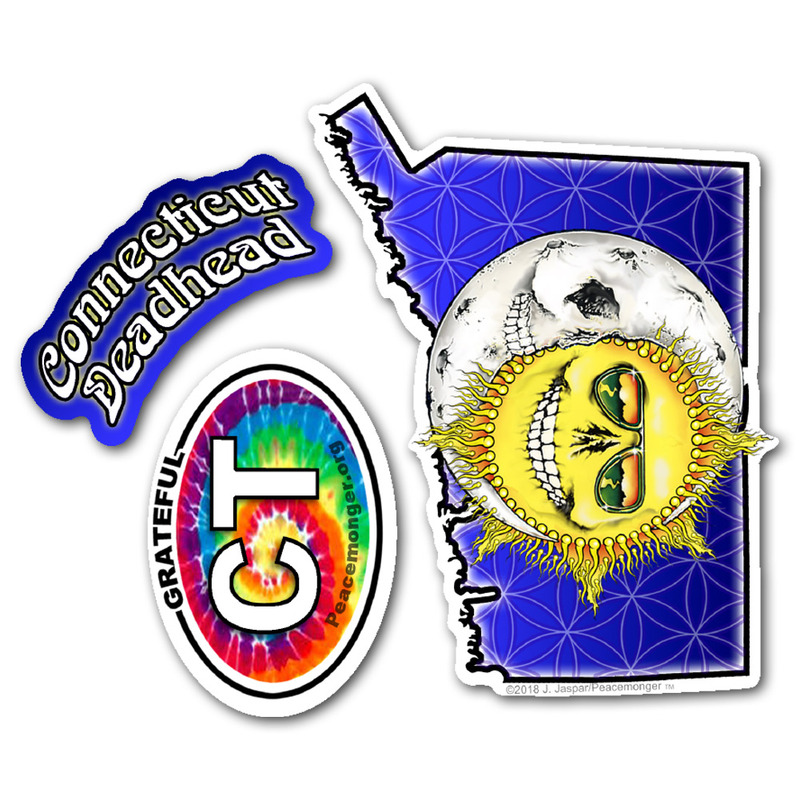 A Connecticut state contour cut sticker has a stylized Jerry Jaspar original Skeleton Sun and Moon with a psychedelic sunset flower of life background. 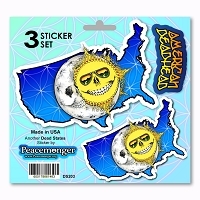 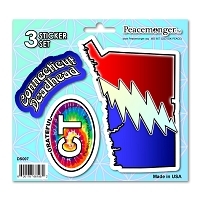 A second sticker has psychedelic lettering "Connecticut Deadhead". 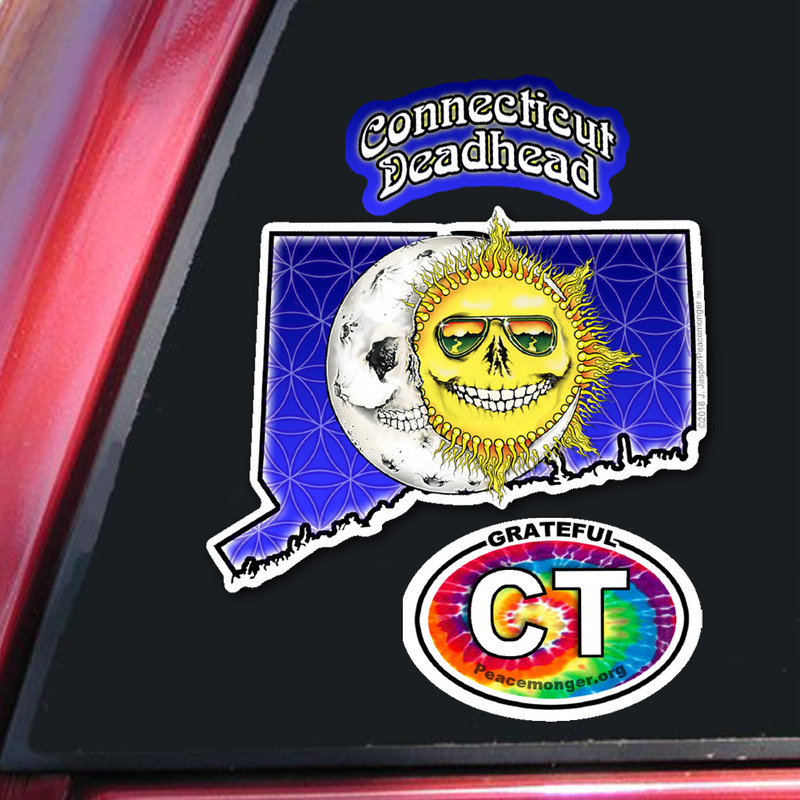 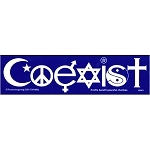 A third oval sticker has a tie dye background with "Grateful CT" lettering. 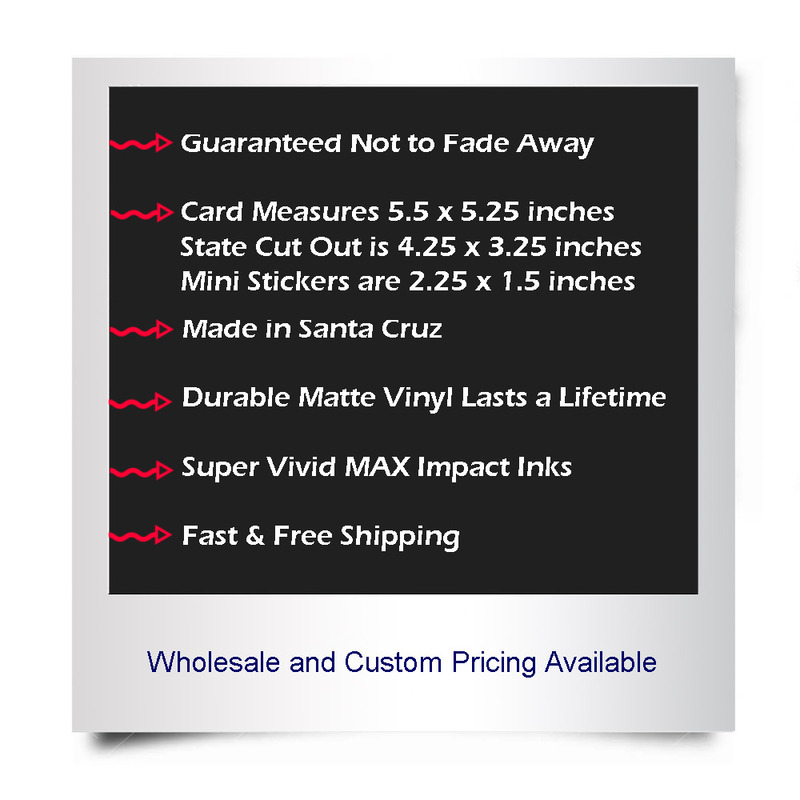 At the top of the card, we included an area to peel and punch as a hang tag for wholesale display.